PT Rajawali Nusantara Indonesia (Persero) - RNI or referred to as "RNI Group" is a well-established state-owned investment holding company in Indonesia. RNI Group has main business competencies in 4 business pillars; agro-industry, pharmaceutical and medical devices, trading and distribution, and property. 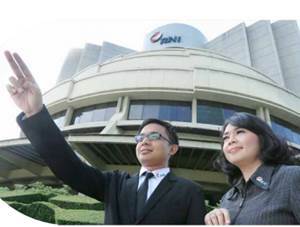 RNI Group is a non listed state-owned company whose shares are not traded on the Indonesia Stock Exchange (IDX). The Government of Indonesia holds 100% shares of RNI Group. As of December 2017, RNI Group runs its business through 13 subsidiaries and 7 affiliated companies. According to information found in RNI Group's website as cited by JobsCDC.com, RNI Group operates 51 Branch Offices and 18 Production Units consisting of 10 Sugar Mills, 3 Palm Oil Factories, 2 Tea Factories, 1 Pharmaceutical Factory, 1 Medical Equipment Factory, 1 Leather Factory, 2 Plastic Sacks Factory, 2 Alcohol Factory, which are supported by more than 11 thousand employees. RNI Group is domiciled in Jakarta and its head office is registered at Gedung RNI, Jl Denpasar Raya Kav D III, Kuningan Jakarta 12950. Minimum D3 degree in Secretary with minimum GPA of 2.90 (scale 4.00). Computer literate (minimum office applications). JobsCDC.com now available on android device. Download now on Google Play here. Please be aware of recruitment fraud. The entire stage of this selection process is free of charge. PT Rajawali Nusantara Indonesia (Persero) - D3 Fresh Graduate Staff RNI Group January 2019 will never ask for fees or upfront payments for any purposes during the recruitment process such as transportation and accommodation.